Other states would do well to follow their legislative leadership, which address both climate restoration and climate change adaptation (resilience). The legislation authorizes the issuance of more than $2 billion in bonds to implement climate change adaptation programs and to improve existing climate resilient infrastructure. The legislation ensures that climate change prevention programs are sufficiently funded and authorizes capitalization of the Global Warming Solutions Trust Fund, which is to be used to fund costs associated with implementation of the Global Warming Solutions Act, the Commonwealth’s Clean Energy and Climate Plan, and state and local strategies for climate change adaptation. Additionally, the bill requires the Executive Office of Energy and Environmental Affairs and the Executive Office of Public Safety and Security to: (i) coordinate to strengthen resilience and prepare for the impacts of climate change; (ii) publish, every five years, an integrated state climate adaptation and hazard mitigation plan; (iii) establish frameworks for state agency and municipal vulnerability assessments that will be incorporated into the state plan; and (iv) implement the state plan and incorporate information learned from implementing the state plan in plan updates. 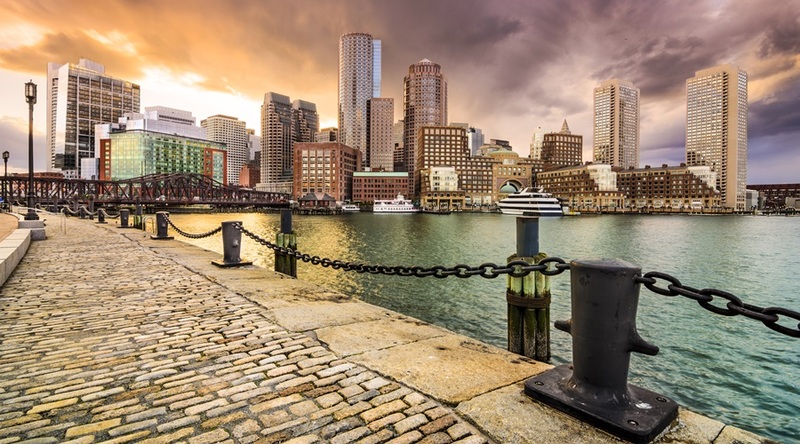 Image of Boston, Massachusetts via Adobe Stock. See full text of H.4613.